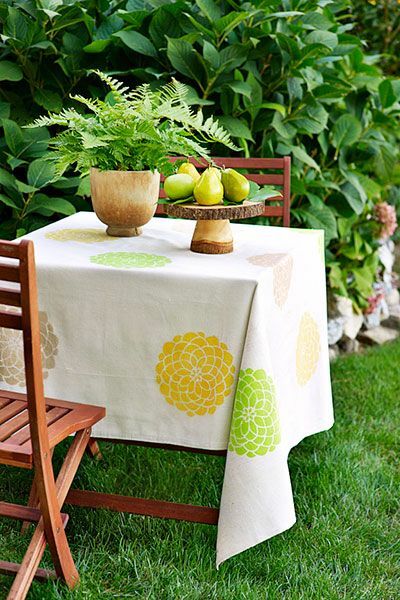 Not only for Summer, a cute tablecloth is needed for daily use. It gives you a visual attractiveness and of course it’s functional. 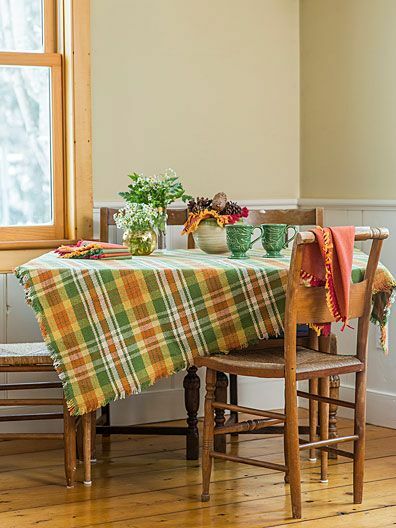 A tablecloth here can be a complementary element of dining table for any occasions including some big days like Christmas, American Independent Day, Halloween, Thanks Giving, and many more. This is reason why there are so many variants of tablecloth offered to you. To meet all people’s needs, the tablecloth comes in wide various fabrics, colors, sizes, and details. If you are so curious about this, we want to share ten best ideas of tablecloth exactly will inspire you. Just scroll down the page to see them. 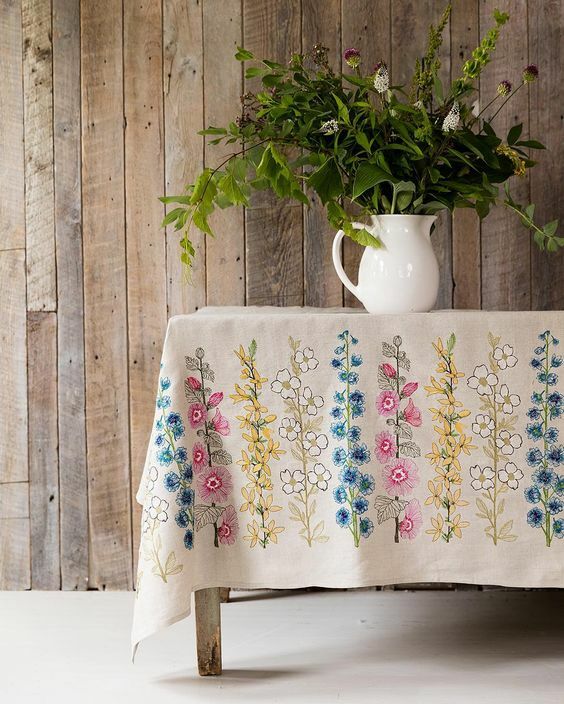 Add a little bit of vintage touch with this floral-patterned tablecloth. Its appearance really matches for special dinning occasion. 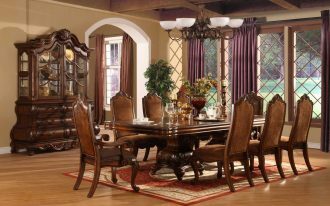 Its soft color also gives you a cozy look during enjoying your dinning moment. It must be so excited if we have such a flowery table runner for our cocktail party. Displaying colorful flower pattern on broken white backdrop, it contributes in at least giving a fresh and natural touch to overall space. 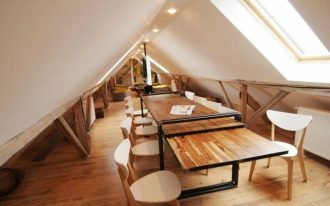 I also really like the wooden plank wall as the background of the table. 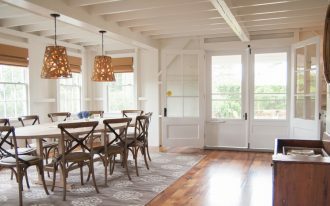 It has added rustic look to this space. 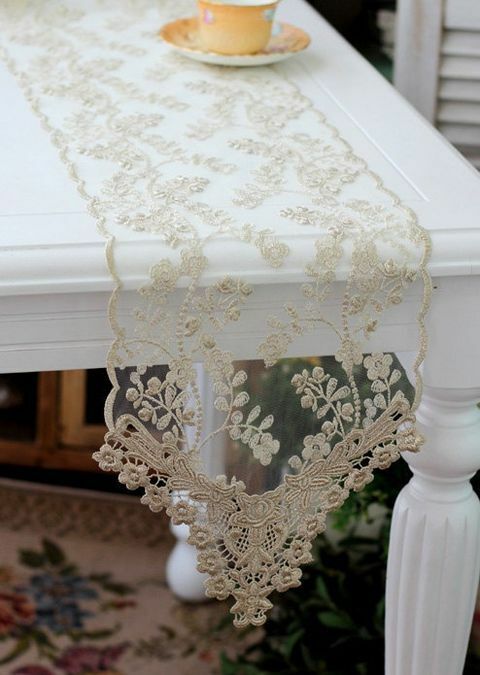 Lace table runner for wedding? It’s great idea to pick this item for your special day. 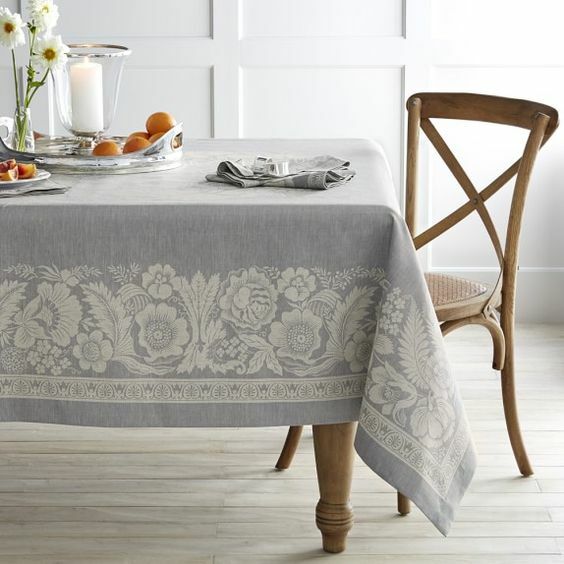 The table runner looks so luxurious with the texture and pattern. Its semi-transparent surface visually lets the texture and floral patterns look so obvious. Get the fancy look just with this table cloth. Its colorful pom pom is more than the decorative items, it’s artful! 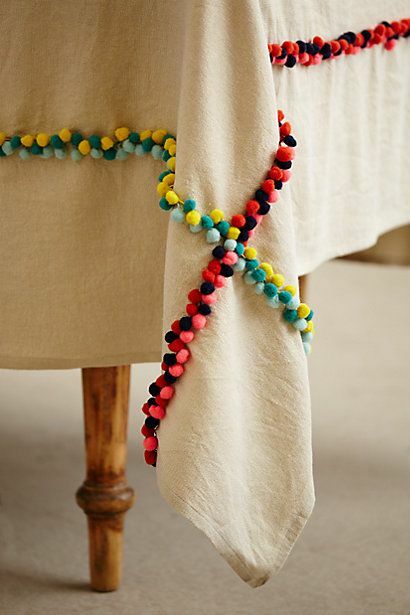 Two crossing pom pom lines add a direct focal point as well as a color accent to this broken white cloth. 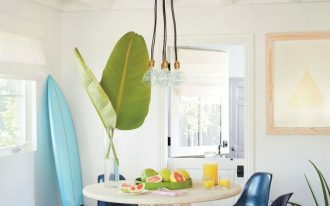 Unexpected idea – using a canvas as the table cloth. It’s a great idea to show your painting art on canvas then displays it as a functional table cloth. 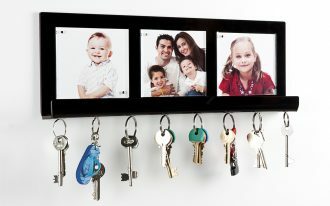 With this idea, everyone can see your artwork as well. Look simple in monochrome. 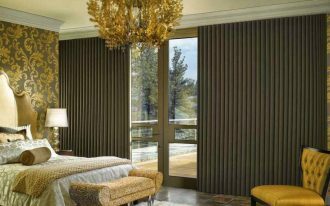 This visualizes practical and beautiful sheet that emphasizes a classic look. 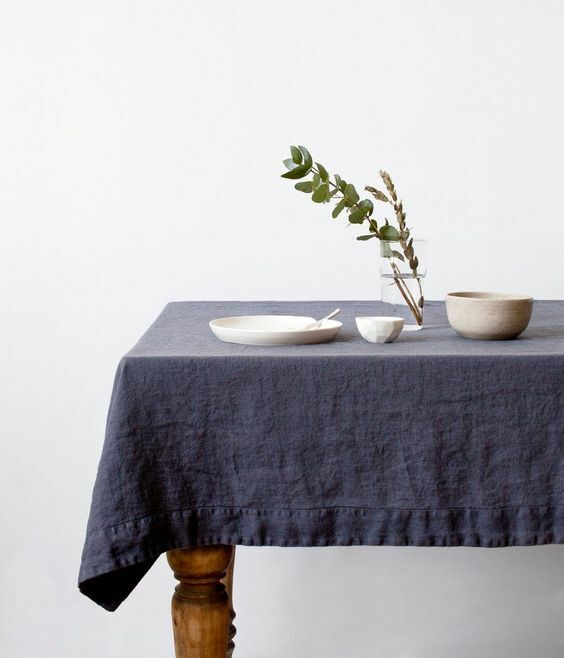 Washable linen tablecloth in blue. It’s simple yet inviting. A perfect choice for Thanksgiving that can effortlessly highlight all dishes served. 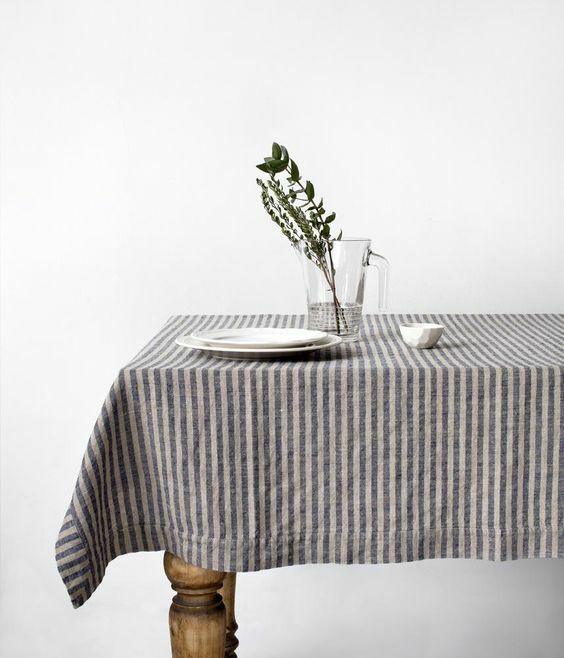 Make your table more vivid just with this simple table linen. 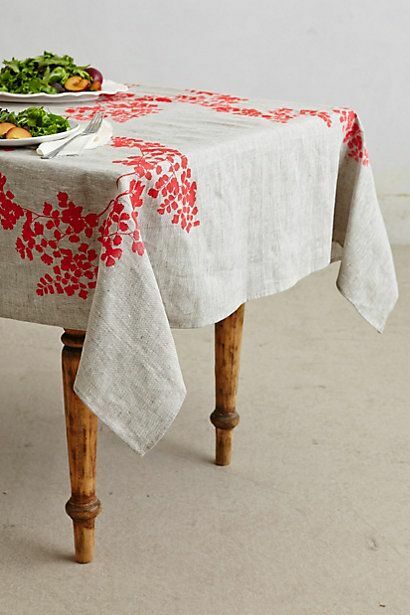 This linen is accented with red flowers that fill some particular spots, adding a textural hue to this linen sheet. 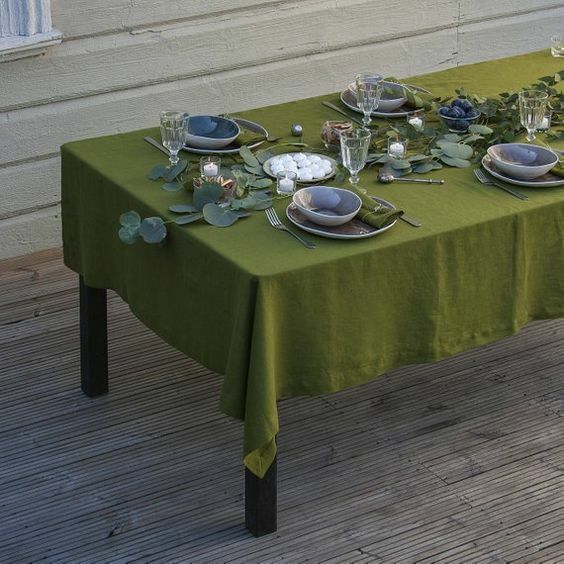 Green olive tablecloth obviously gives a natural appeal through its color. This linen sheet also brings natural breath to your home. Made of natural material, soft cotton, this linen is sustainable and eco-friendly, meaning that it’s a good option for enviroment. Its simple design is also perfect for both everyday and festive dinner. It’s retro! 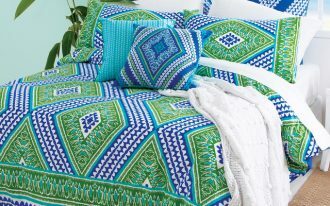 Using the playful colors and stripe motifs, the tablecloth looks so striking. 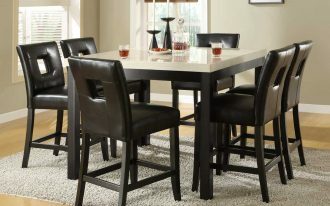 This is an instant way to spice up your dining space.